Items added to your shopping cart will appear in the column to the right. Mandala Magic is based on the MARI® (Mandala Assessment Research Instrument)-- a psychological assessment. MARI® is the best tool for revealing the content of the psyche, both conscious and unconscious, that exists today. Unlike traditional psychological assessments instruments, MARI is as a whole-brain, multi-layered self-exploration tool that provides deep levels of insight. The insights revealed are often very powerful and increase the potential for immediate life changing shifts. 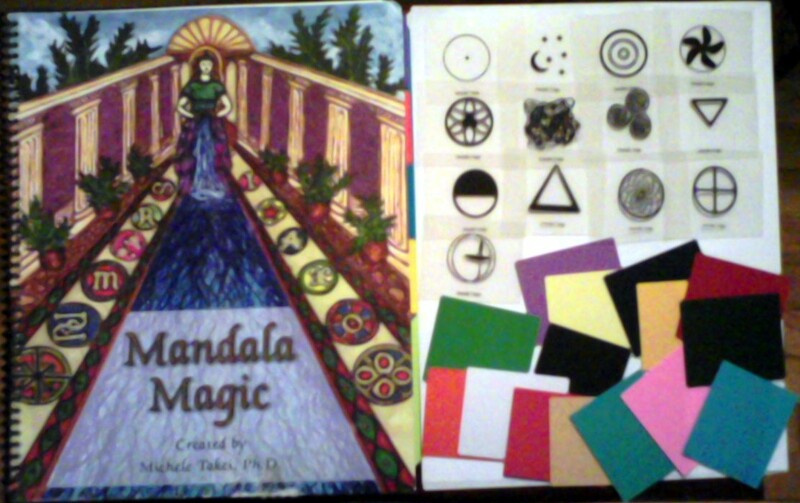 Mandala Magic was developed as an abbreviated form of the full MARI®, and is similar to other transformation tools. However, Mandala Magic provides a far more authentic and in-depth personal exploration that other transformation tools such as Angel, Oracle, or Tarot cards. You are guided through the process of creating your own mandala, choosing from 13 different symbol cards and selecting a color for each from different15 color cards. The book includes an easy and basic interpretation of the symbols and colors you are drawn to in relation to your current situations and life cycles. In no Way is Mandala Magic a substitute for completing a full MARI® experience with a Certified Practitioner, however Mandala Magic uses the same principals and allows an easy and fun way to be introduced to your transformation potential.